It is a beautiful scene, isn't it? The photo can't fully describe how phenomenally spectacular a sunset from the top of Table Mountain is. The cableway is still running a special where you can buy a return ticket after 18h00 for only 72.50 ZAR. A price like that for a view like this? It's a no-brainer. Posted in Landscape, Sights and tagged sunset, table mountain on Sunday, 18 January, 2009 by Paul. This photo is never out of date – truly a beautiful image – magnificent view. Absolutely stunning pic of a magnificent view. Aaah. Nice new look blog layout. Very cool guys. 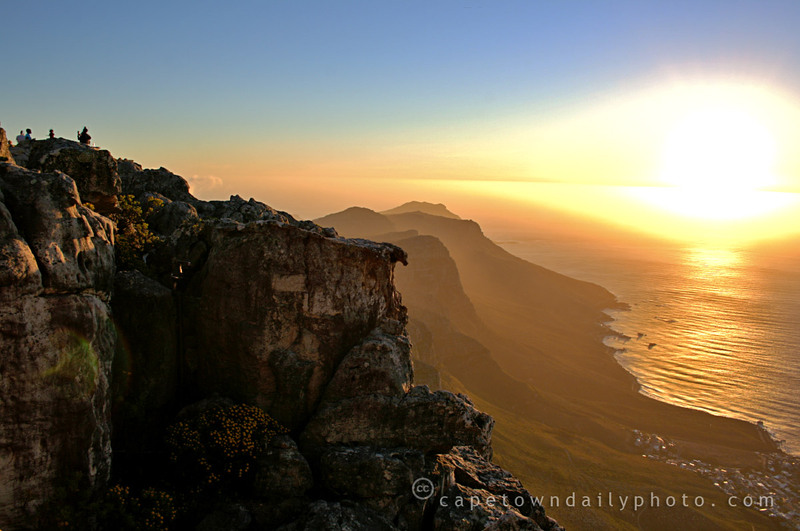 Thanks guys – if you haven’t, you should consider doing the sunset trip up Table Mountain if you have the chance. 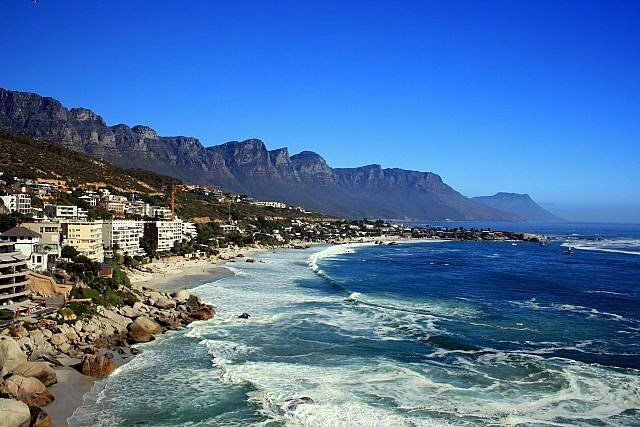 HI.. magnificent picture.. can you please explain about the view of 12 apostles form the table mountain.. don’t understand..
Hi Usha – yes, sorry, perhaps I should have explained that. :) We’re so use to “The Twelve Apostles” that I never considered how confusing it may sound to people who don’t know what they are.